Katy Hamilton is a freelance researcher, writer and presenter on music. She is is fast becoming one of the UK’s most sought-after speakers on music, providing talks for a host of organisations including the Wigmore Hall, Southbank Centre, BBC Proms, Ryedale Festival and Oxford Lieder Festival. In addition, she regularly writes programme notes for the Salzburg Festival, North Norfolk Festival and Naxos music, and is a frequent contributor to BBC Radio 3’s Record Review. 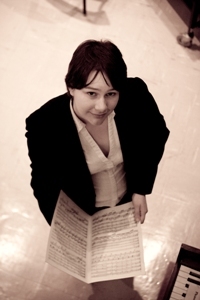 Katy’s area of specialism is the music of Johannes Brahms and his contemporaries, but she has also been involved in projects covering subjects as diverse as the history of the Edinburgh Festival, the role of émigré musicians in post-1945 British musical life, and variety shows at the Wigmore Hall in the early twentieth century. She has published extensively on these and other subjects, both in academic journals and books for a wider readership. She has taught at the Royal College of Music, the University of Nottingham, City Lit and Middlesex University. This website is intended to keep you up-to-date with all that Katy has been working on, and give you the opportunity to get in touch and leave your feedback! Feel free to comment on published posts, or use the contact form. Katy is represented by SoloSon Media.